In the pursuit of truth, free thinkers and experiencers (divergents) often have to battle against the status quo. This can play out in the realms of academia, home life, and society at large. 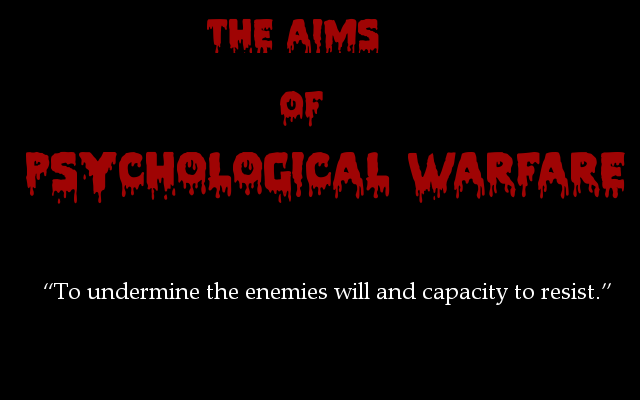 But there is often a more nefarious aim by those seeking to maintain established belief systems and accepted "facts." Sometimes, in our effort to make sense of the world, we feel the need to attack others who don't share our beliefs. 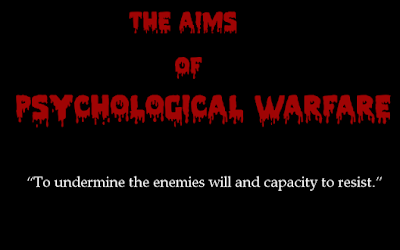 It is my suspicion at this time that the powers that should not be have been using psychological warfare tactics for thousands of years, and these methods work on our emotions and beliefs. These methods have been infused into our culture, so much so that almost all of us have used or fallen victim to them at some point in our lives. I hope to draw awareness to this with the following. I wrote the following commentary in reference to one smear campaign currently being waged against an alleged secret space program whistleblower, Corey Goode. But to be sure, these methods are used at all levels of society, and my comments are applicable in a general fashion. As I have clearly stated many times on this site, I am not a "follower" of Goode. I don't blindly believe his story nor do I try to convince others that he should be unquestionably believed. On the contrary, I strive to use his story, and the uncertainty surrounding it, as a venue to discuss how we, as individuals, come to know the truth, how we navigate our beliefs, and what we can do to better understand life experience in general. And I express these same sentiments in almost every other facet of my work, which has nothing to do with Corey's story. I left the following as a comment on Facebook in the Stillness in the Storm Group, in reference to a Youtuber, Dark Journalist's New Age Deep State series, which is one example of the smear campaign against Goode and others who work with him. I've seen Dark Journalist's material before, and found it of high quality, thus I was curious as to what he was able to uncover in his research. But what I saw was disappointing, as the videos have, at present, amounted to what I would characterize as a smear campaign, using psychological warfare tactics. Now to be clear, I don't know, nor do I suspect, that Dark Journalist is consciously using these methods, or that he is working as a government agent of some kind. That is possible, but I think what is more likely is that these techniques are so widely used in our world today, almost everyone has some proficiently in them, some more than others. Without further ado, here is the comment. Keep in mind that this is rather informal—and it is written in an Op-Ed style format. My opinions are my own, and as always, I encourage you to think carefully about the information, discerning what is offered at a personal level.